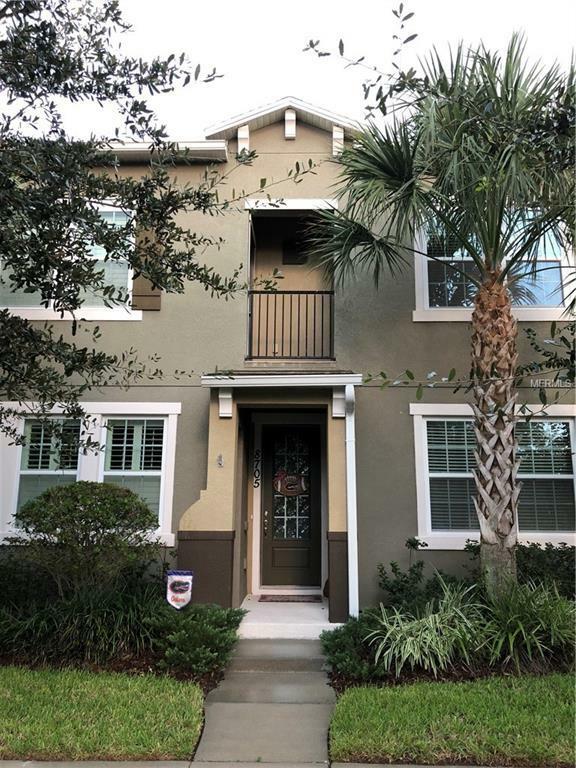 Beautiful 3 bedrooms, 2.5 bathrooms townhome located in peaceful community of Carrington. Conveniently located near shopping, restaurants and parks. Do you love Disney?! Firework show every night! 1/4 mile from Disney employee entrance. Community pool. Lots of upgrades: Crown molding, granite countertops in kitchen, custom backsplash, plantation shutters, tile and Pergo throughout home. Patio is brick paved. Balcony off of master bedroom. Custom closet in master. Decorative ceiling fans in all bedrooms. Additional Lease Restrictions Please Contact Hoa For The Approval Process. Listing provided courtesy of Foxwood Real Estate Inc.